The number of people living with diabetes has nearly quadrupled since 1980 to 422 million adults, with most living in developing countries. 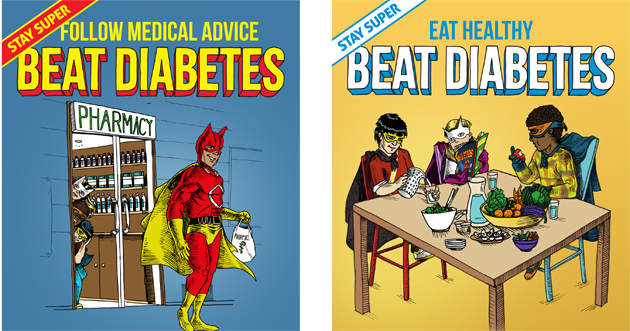 WHO is marking World Health Day by calling for action on diabetes. In its first "Global report on diabetes", WHO highlights the need to step up prevention and treatment of the disease. The main goals of World Health Day 2016 campaign are to increase awarenss about the rise in diabetes, and its staggering burden and consequences, in particular in low- and middle-income countries; and to trigger a set of specific, effective and affordable action to tackle diabetes. These will include steps to prevent diabetes and diagnose, treat and care for people with diabetes. Diabetes, therefore, is an issue relevant to people around the world, as well as multiple stakeholders, including government, civil society, the private sectorm and intergovernmental agencies. While every country and community is at a different stage in addressing its diabetes challenge, there are a number of activities that could be considered at national and local level on World Health Day 2016 to help achieve its objectives to increase awarenss and trigger a set of action to tackle diabetes. We feel honored to support our customers in the distribution of diabetes medicines. These are life enhancing medications that make a difference in the quality of life for people all over the globe.